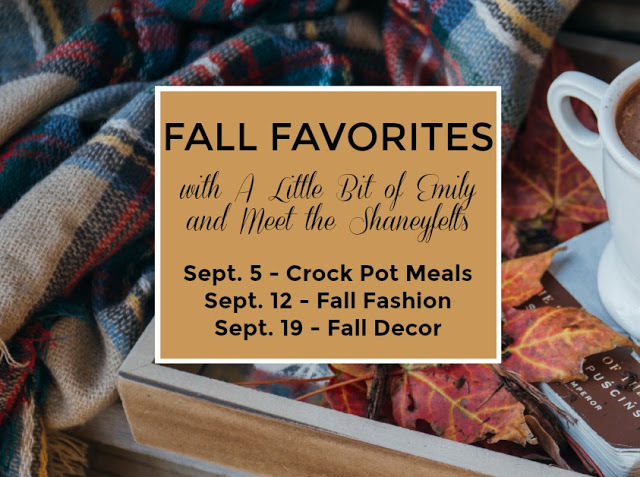 My blogging friend, Emily, from A Little Bit of Emily (you may recognize her as a co-host to our monthly Girl Chat link up) is hosting some Fall Favorites link ups and I knew I had to participate in some of them. The first one is Crockpot Meals. While I don't make a ton of crockpot meals, I definitely want to read other posts to add more to my food board on Pinterest. But I am here to share my favorite crock pot meals and one of them is pretty new. I have made these ribs countless times and they always come out sooo tender. They almost fall right off the bone. One note I will make is to not add too much bbq sauce after you pull the ribs out of the crock pot. You only need a little extra. Nadine posted this recipe on her blog a few weeks ago (again) and I made it that next week and we loved it. We love the heat and adding a soft piece of french bread with it. This one is a hit. I have a smaller crock pot, so next time I will add half the amount of the sauce ingredients and double the sausages. That way we will have leftovers for work. You will want them. They are amazing the next day! And use the hot sausages if you like heat. 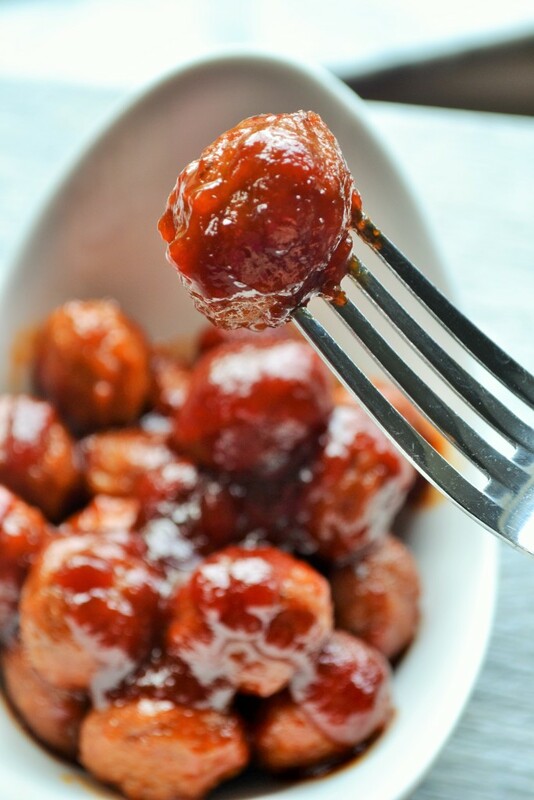 I have made these meatballs for potlucks, tailgates and the girls first birthday party. They are simple and so good. I buy my frozen meatballs at Costco in bulk or you can get them at Walmart. I love the heat to these and could eat them as a dinner with a little rice. Yum. What are your favorite crock pot meals? Send them to me please! All of these look so good! We usually end up using our crockpot at least once a week. So convenient and always so yummy! Oh wow. That is a lot. I need to use mine more because it is soooo convenient....like you said. YUM!! I rolled 3 lbs of meatballs yesterday and froze them so I am definitely trying that meatball recipe!! Oh wow. You are my hero. I need to do something like that as well. 1. Thanks for linking up! 2. All these sound AWESOME! Definitely remember those meatballs for a day of watching football. And I think my mom actually makes sausages like that. I can't do green peppers, but do you think they would taste good with red? Oh I am sure they would taste great with red peppers. Red have a sweeter flavor to them so it will compliment a spicy sausage if you want some heat. I love those meatballs and could eat all of them. Ha. Crockpot meals are the best. I need to try those meatballs. They sound amazing!! I love making soups in the crockpot! I can't wait for the weather to cool down so we can have soup again! Oh me too. I always forget about those. I can't wait for soup weather too! 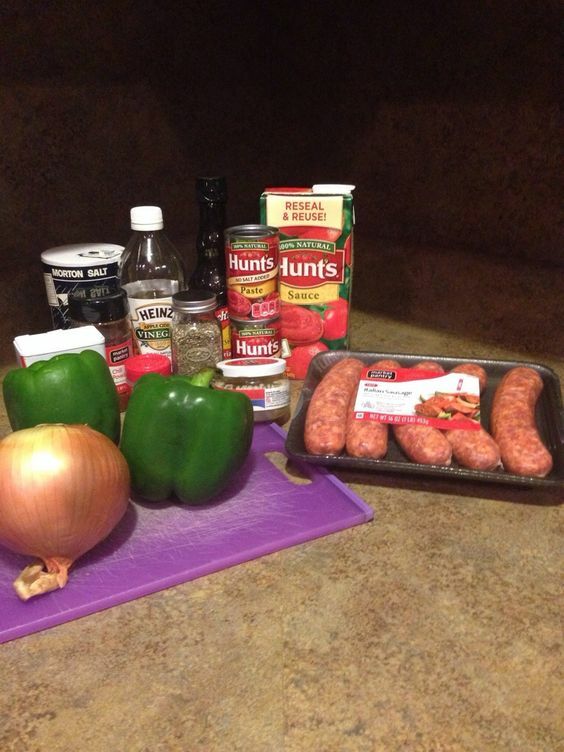 I have to try the sausage and peppers and onions recipe! Thanks for sharing! Meatballs in the crockpot are THE BEST!! I make those for parties a lot! Me too. Especially for work pot lucks. Yum, the crockpot meatballs sound good! Crock pot meals are my absolute favorite! They make life about a million times easier and I love how your whole house smells like yummy food if you've been out all day! Ahhh I am so glad that you loved the sausage recipe! I was just thinking that I was going to need to make it for football soon. 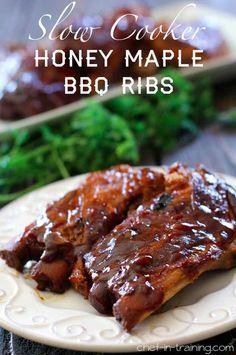 I am pinning these other two you shared because yummmm! Thank you for sharing it. We love it. 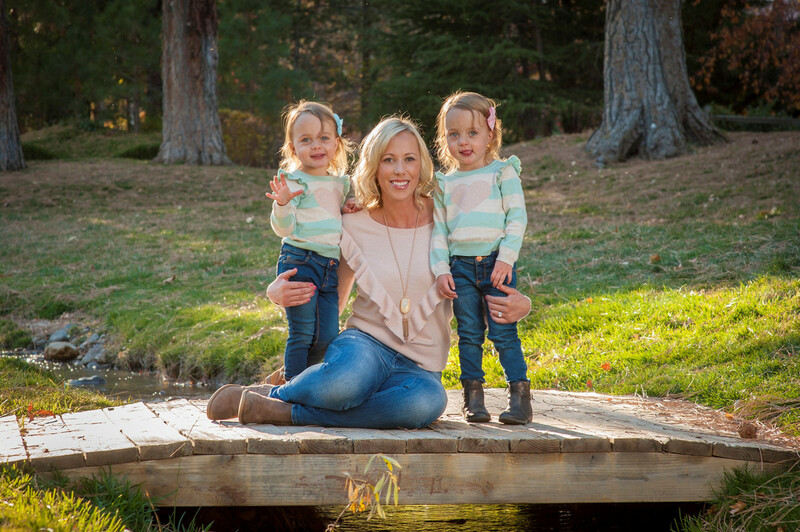 I make a few tweaks now with the size of my crock pot, but it is a huge hit here at my house! I will be making that pepper one! I have been bad about using my crockpot, need to get on that! Oh my! I need those ribs in my life haha. They look so good! Yum the meatballs!! Looks so so good!! YUMMMM!! I need to make those meatballs! !